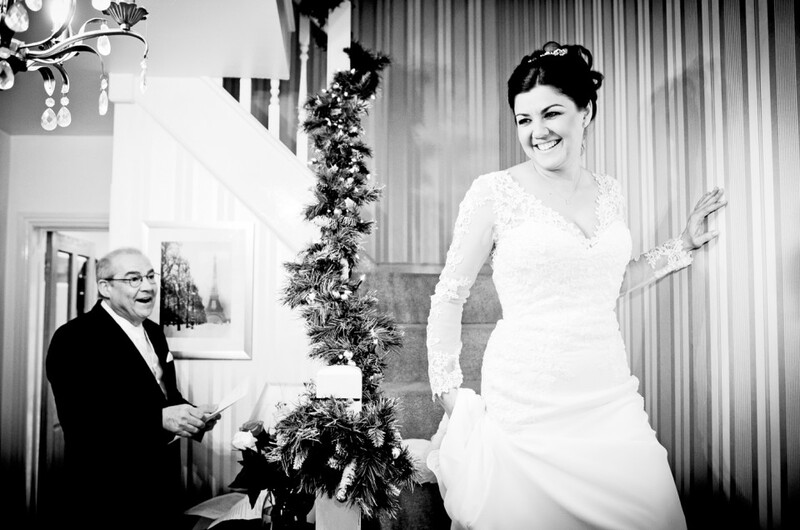 Ok so I am a wedding photographer and yes of course I am going to say you should always choose a professional to photograph your wedding, but think for a moment,the biggest day (or at the very least one of them) in your life and what is going to always be there for you to recall every moment …. The photographs …. Yes in the digital age cameras can do a lot more things, auto this and auto that but it can’t give you the experience of getting those important moments whilst under pressure , the eye for a great shot, knowing what may come next, composing the shot in a split second, I could go on but I don’t want to bore you. I think , well I know , a big factor in choosing your wedding photographer is price and of course it should be, but should it be the most important? A photographer at say £500 in my view could be more expensive than a photographer at for example £1500.. Why ??? Well, if the shots from the £500 photographer are not what you wanted but from the £1500 photographer they are exactly what you wanted .. Who is the more value for money? I’m not trying to say the most expensive is the best but what I am hoping is that you take the time to not just look at price but look at quality of images, take time to have a chat with each photographer regardless of price , firstly go with what you ‘see’, as the importance of a quality wedding photographer cannot be over estimated. To finish I’m not saying “pick me” I’ m just saying choose wisely, the images will be there forever and you want them to be of the highest quality , after all in years to come it will be the only record you have of the day ..